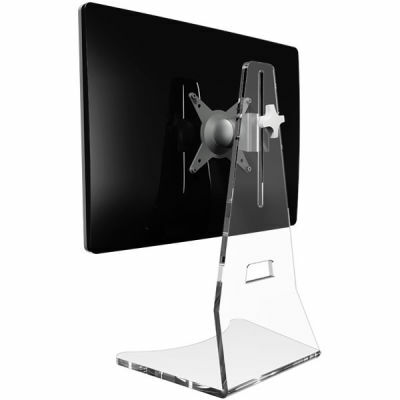 This 10mm thick acrylic desk stand adds flexibility to the workplace. 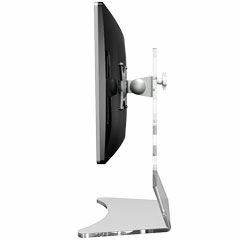 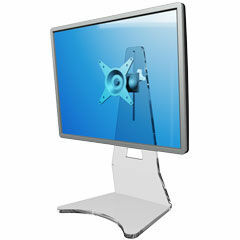 Being totally transparent, the desk stand gives the impression of a' floating' monitor. 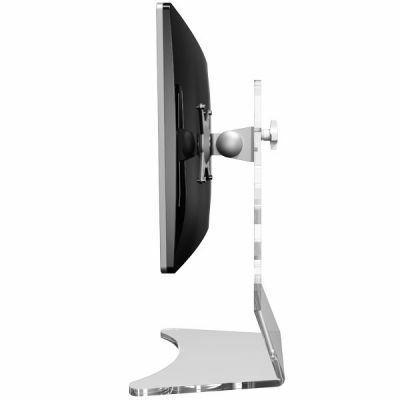 Making the desk look more spacious.